Product prices and availability are accurate as of 2019-04-20 03:02:30 EDT and are subject to change. Any price and availability information displayed on http://www.amazon.com/ at the time of purchase will apply to the purchase of this product. 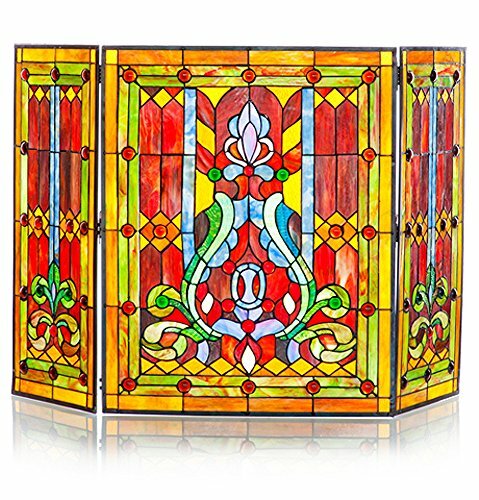 Beautify your home hearth with the River of Goods Stained Glass Fireplace Screen! 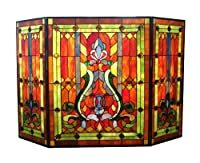 The gorgeous layout of orange, amber, red, green and blue colors across three panels will illuminate your family room, living room, den, and any room in your home with a fireplace. It’s the perfect finishing touch to your decor and is sure to be a home staple for years to come. 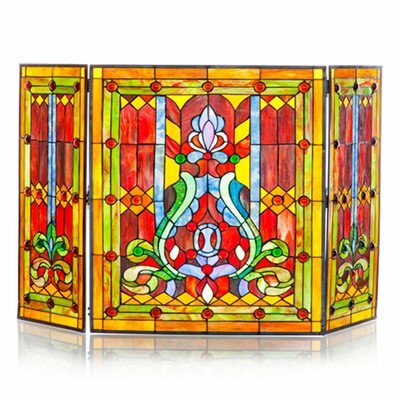 Each screen is built with skilled craftsmanship and features 456 hand-cut pieces of textured stained glass and 62 cabochon gemstones. You’ll see the quality up-close and from the comfort of your favorite couch or chair through family gatherings, holidays and more. 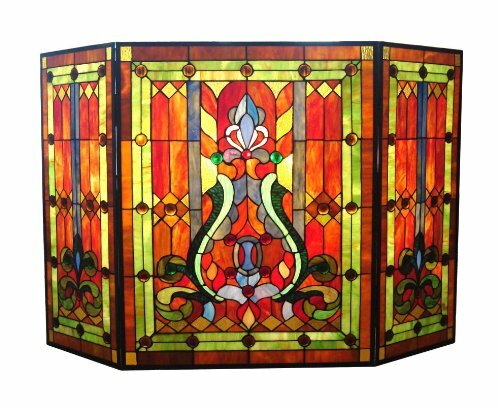 Not only beautiful, our stained glass screen is supremely functional. When the fire is roaring and cozy, it keeps kids and pets from the heat and flames, letting you take in the kaleidoscope of hues. When the embers fade, the screen hides the ashes and soot with a lovely display that keeps the room bright and joyful until you allow it to shine with the next fire. 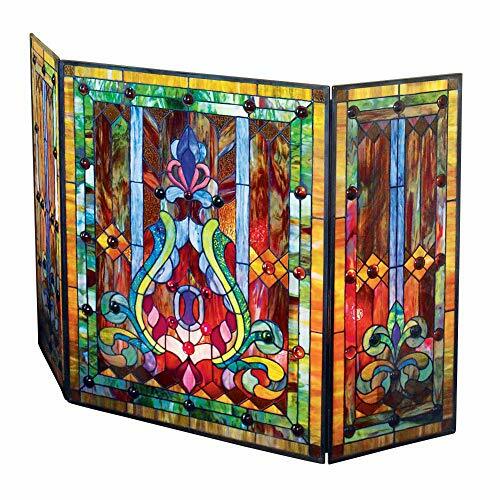 Use this screen with practically any indoor fireplace or hearth in your home, apartment, church, or meeting hall. Whether you enjoy electric, propane gas, or traditional wood-burning fireplaces, you’ll get the same great protection from heat and wonderful lighting. Even when the fire isn’t going, you can still enjoy the design by placing candles behind the screen for soft, ambient lighting. Once you’ve easily assembled the panels with the hinge and pin inserts, situate this free-standing guard in front of any hearth. When you want it in a different room, simply fold it up and go. You can even use it as a panel for a large window!